Jose Luis and Catherine have worked within the hospitality industry in several places in the world for over twenty-five years. Hailing from Argentina, Jose Luis has been in the kitchen for four decades, and Catherine, from the Netherlands, learned her baking skills from her grandmother. In 1972, they opened their first restaurant, Botticelli Trattoria, south on Dixie Highway (now Pinecrest), and subsequently opened two others in Coral Gables and then here in South Miami, where Whisk is now located. “So where did they go?”, and “what did they do?” many ask. 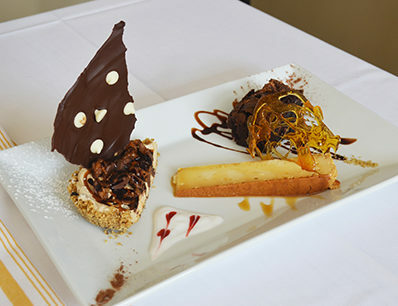 Dessert Sampler Trio: Marshmallow Brownie, Mascapone Flan, Reeses Peanut Butter cheese cake with Graham cracker Oreo cookie dessert. In 2001, they sold the restaurants and moved to New England where they purchased and ran for many years the Beal House Inn, in Littleton, NH, a full service country inn and restaurant. The restaurant became the first in which they integrated their eclectic and global-focused menu. Heading out of the “frozen north” the couple went on to St. Petersburg, Florida, and on to Las Vegas where they opened Elements Kitchen & Martini Bar, with a culinary twist of pairing tropical Floridabbean and classic Italian. 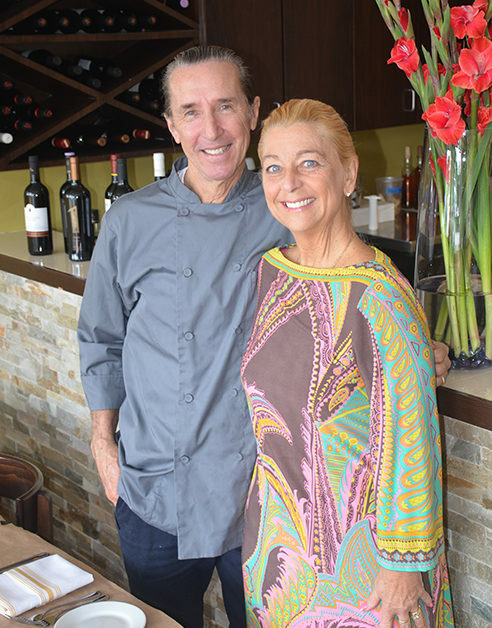 Five years ago, they planned to retire in Playa del Carmen, Mexico, and quickly realized how important the restaurant business was to their own personal satisfaction and opened Salt Rock Grille on La Quinta, a busy tourist street. 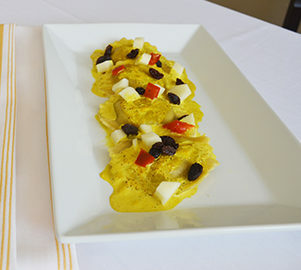 Portobello ravioli with coconut milk curry with Granny Smith Apples and raisins. And now, as fate dictates, Jose Luis and Catherine have come full circle to Miami where their world-wind culinary journey began, close to their former customers and friends. In the kitchen among his many featured dishes stand out Chef Jose Luis’ Short Ribs, his artisanal breads and chutney. And for Catherine’s it’s her German Struedel, her famed Creme Brulees & Bread Pudding, which she continues to make, although she travels extensively for a major Mexican hotel company. 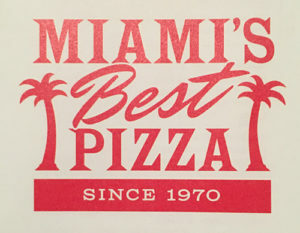 For over forty years, Miami’s Best Pizza, was a Miami landmark, located on South Dixie Highway just north of Sunset Place. It closed in 2014. It’s now been reborn on the other side of US1 near Mark Light Stadium. Though a less noticeable aa brand new location once inside. 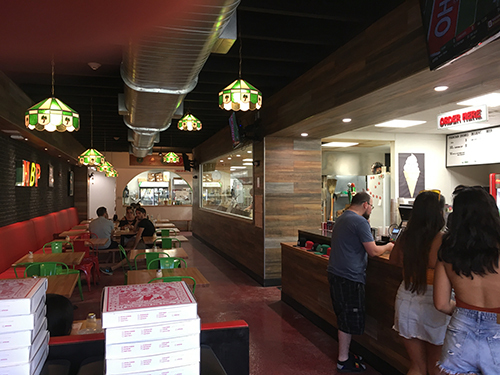 Miami’s Best Pizza boasts of daily hand-rolled pizza dough, superior tomatoes, the finest cheeses, butcher bought meats, and Miami’s best pepperoni. 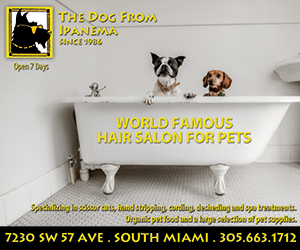 They are open seven days a week, and provide dine-in, take-out and delivery. 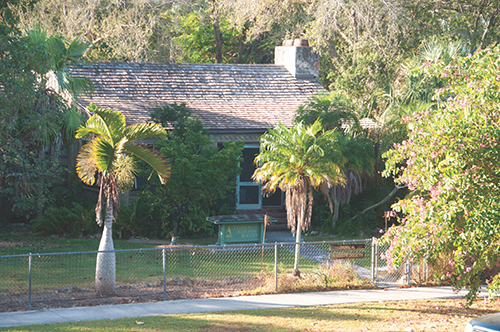 At the Tropical Audubon Society’s DOC THOMAS HOUSE (5530 Sunset Drive) there will be an exhibit of National Audubon photography award winners hanging through October 10, and then a private collection of first edition John James Audubon Octavo prints for exhibit and SALE with a private opening Oct 11 by appointment and a public party on the 12th. And dress up for the annual SAFE STREETS HALLOWEEN (Wednesday, October 31) when Sunset Drive is closed off in the early evening for kids (and adults) to join in the Halloween fun. 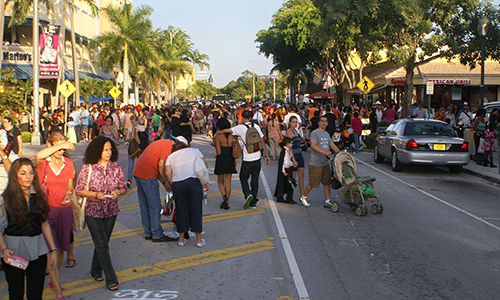 ChamberSOUTH presents its annual SOUTH MIAMI ART FESTIVAL on Sunset Drive on the first weekend of November (3 & 4). 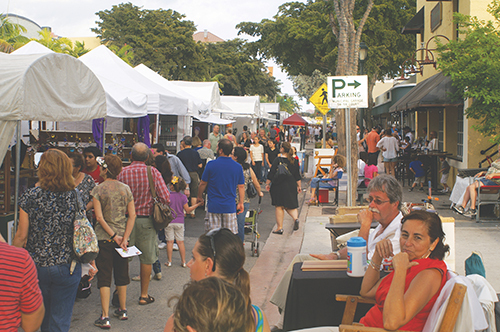 This juried art show kicks off the on-street activities throughout the season through March. 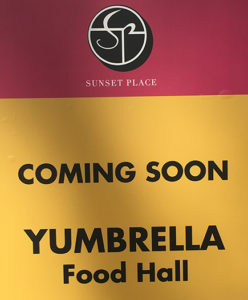 Some great eats and treats are coming to SOMI. 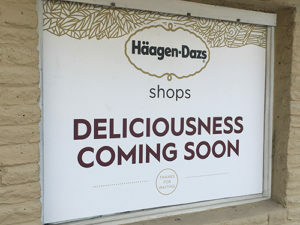 If ice cream is your thing, Haagen-Dazs is opening on 58 Avenue & Sunset Drive in the former Elements to Time shop. 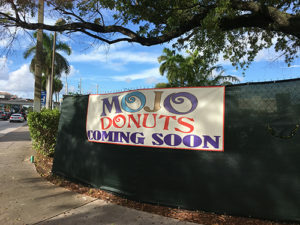 Mojo Donuts will be coming to Three Chefs and a Chicken on US1 & Red Road, and coming to Sunset Place is Yumbrella, a food hall, which as word has it, has a great line-up of popular eateries. Restaurant owners Charles Hazlett and Mark Falsetto (far end) with city officials and other area notables. Pictured are the City Manager and Deputy City Manager being interviewed by the producer and taped chowing down burgers. 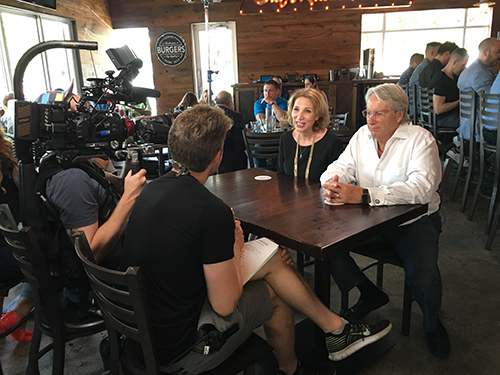 A production team from Travel Channel descended on ROK:BRGR in early August for the filming of an upcoming segment of Food Paradise. They came to SOMI to see what all the buzz has been about for the past few years since the restaurant’s opening. 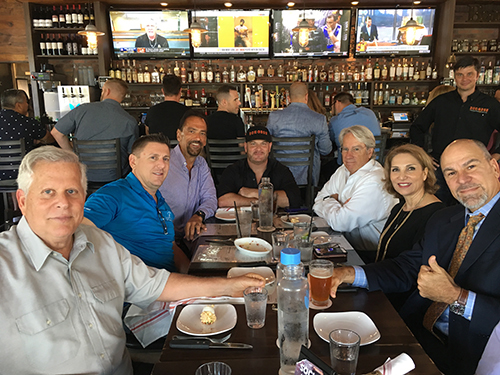 ROK:BRGR was packed with a full production crew, patrons and city officials, including Commissioners Josh Liebman and Luis Gil, together with City Manager Steven Alexander and Deputy City Manager Shari Kamali. This was all for a burger photo shoot. It’s great to see that SOMI is getting some positive attention away from its shuttered store fronts. 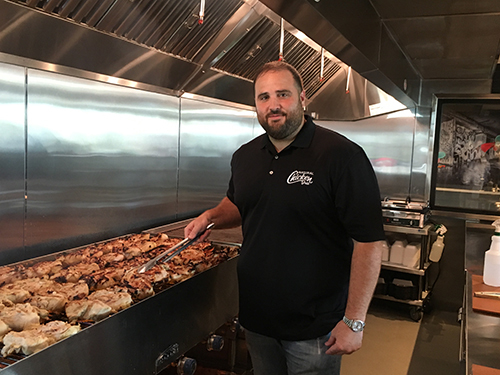 Alexis Acosta, owner of NATURAL CHICKEN GRILL (US1 & Red Road) finally got hot on the grill after a year of construction on his newest location which opened in early September. UM Football great CRAIG ERIKSON (QB, 1989 National Championship) and Miami Dolphin (among other NFL teams) is getting ready to open his newest restaurant where Georges on Sunset was located. He’s known for the popular Hole in the Wall restaurants, and is looking to create a new concept here in SOMI. Justin Mus owner of La Pizza at US & 71 Street is changing things up with the restaurant spaces, and creating SUNSET YARD, which includes a restaurant/pizzeria for family dining, a sports bar next door and a beer and wine garden outside. Stay tuned for more exciting details….